Yep. Don't know where they're getting three years, unless they consider that the next gubernatorial inauguration will be in 2022. Virginia’s governors are limited to one-term, but should Fairfax become governor to fill the final three years of Northam’s term, he could then run for election and potentially serve seven years. Herring said in December he plans to run for governor in 2021 and on Saturday called for Northam to resign. Herring is the current Attorney-General. All the statewide offices are held by Democrats, though both houses of the legislature are still narrowly in GOP hands. I like Fairfax, he'll make a fine governor. I POSTED THIS IN ITS ENTIRETY BECAUSE IT IS SO WELL WRITTEN AND SO ACCURATE. President Trump operates in the moment, where every encounter necessitates that he be perceived as the winner. Insofar as his words have no relation to action and his aversion to facts is so strong, he will say practically anything to get himself out of a jam. Hence, we saw him claim ownership of the shutdown because in that moment, facing adversaries and performing in front of the cameras, he thought that might help him look like a tough guy. Sometimes Trump’s outbursts are spontaneous and others planned, but they are invariably ill-conceived. He operates in a world of mobster rhetoric and movie-style dialogue in which words only have to sound tough. Logic is immaterial; thinking through the consequences of his threats is unimaginable. An economic miracle is taking place in the United States, and the only thing that can stop it are foolish wars, politics or ridiculous partisan investigations. If there is going to be peace and legislation, there cannot be war and investigation. It just does not work that way. We must be united at home to defeat our adversaries abroad. As a preliminary matter, the economy and investigations are unrelated — unless the latter turn up evidence of massive misconduct, fraud or criminality that might temporarily upset the markets. But that, of course, isn’t a reason not to investigate where circumstances warrant. Markets recover, while Trump’s presidency might not in such a situation. Moreover, how is Trump’s scenario supposed to work? Congress passes a bipartisan infrastructure bill and, what, Trump won’t sign it while the House investigates potentially unconstitutional emoluments? Congress passes a wholly popular drug cost-reduction bill and Trump vetoes it because Congress is investigating his inhumane family-separations policy? On Wednesday, House Speaker Nancy Pelosi (D-Calif.) admonished him for making a threat in the House. Once more, she got the better of him. Democrats know Trump’s bluff is absurd, and his congressional allies know it, too. Only the lowest of his low-information base thrills to the sound of his words. Ultimately, as is so often the case (with the wall and shutdown, most especially), Trump’s own supporters will be disappointed. Like Scarlett O’Hara, Trump perhaps thinks he’ll worry about that another day. For the brief satisfaction of spitting out a nonsensical soundbite, Trump sets himself up for embarrassment and disappointment. In many ways, that is the story of his presidency. A man entirely ignorant about policy and governance playacts his way through his presidency, using language that dense people think is smart and ignorant people imagine sounds erudite. The problem for Trump remains — reality. Today and tomorrow and for many days afterward, special counsel Robert S. Mueller III and House investigators will call witnesses, gather evidence and probe wrongdoing. If the facts and the law are on their side, Trump and his cronies will be powerless to stop them and will by one means or another be held accountable. All the hollers of “Witch hunt!” didn’t save Paul Manafort from conviction on eight counts or spare Michael Cohen from a jail sentence. Trump and a cynical media might think that “nothing matters” and that Trump’s words are without consequence. His right-wing media bubble that fills his brain during hours of “executive time” will tell him comforting lies and reassure him that he is “winning.” However, the midterms, sinking approval ratings, more than 30 indictments and the inevitable progress of the Mueller investigation should remove all doubt that reality matters. It's Trump's words that don't. Bingo. Rubin has really come around since back when she was a kneejerk supporter of W and any Republican, and a similar opponent of Obama. 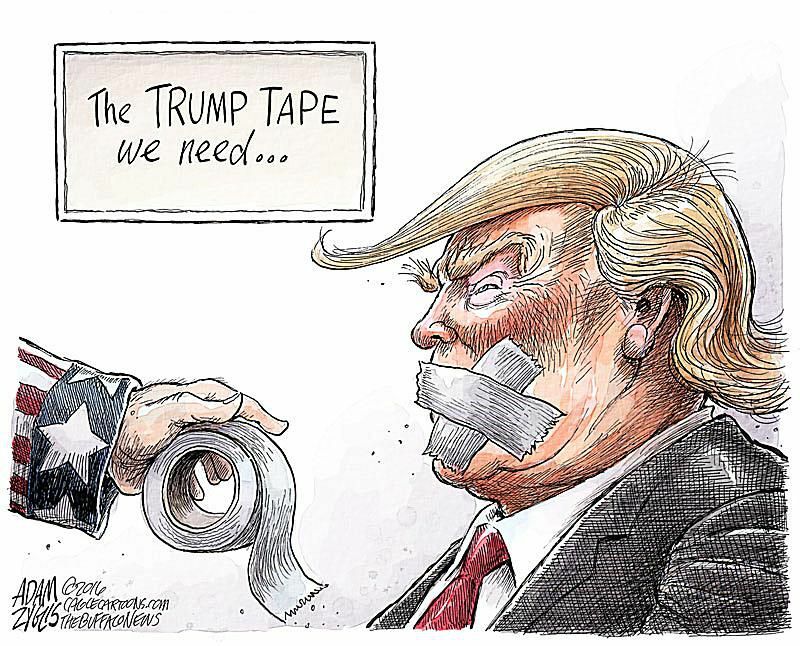 You know, I think what he would utter being taped up like this would make more sense than what comes out of his open mouth!? Fritz, are you rethinking this post now?! We'll see how things turn out. Patricia Nell Warren died 2/9/19 at age 83. Patricia Nell Warren (born June 15, 1936 died February 9, 2019) was an American novelist, poet and journalist. 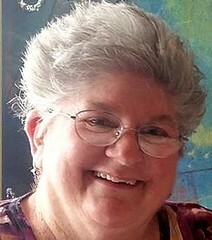 Her first novel, The Front Runner, was the first work of contemporary gay fiction to make the New York Times Best Seller list. "Dozens of Trump supporters form ‘human wall’ at southern border"
I was reading a study done about the history of immigration and border walls. Until the first fence was built in 1990, Mexican workers could circulate freely across the border, coming to harvest crops during the summer and then returning home in the winter. They crossed with a goal of bettering their lives south of the border. The 1980's had more total crossings than the 1990's, but because as many people left each year as arrived, the total number of unauthorized immigrants remained roughly constant at about 3 million. The true measure of of a barrier’s efficacy should be not the gross flow but the net flow, taking into account both entries and exits. Increased enforcement in the 1990's raised the cost to migrants to cross the border, which obviously prevented some migrants from crossing at the margin. In fact, the cost of a single border crossing exploded from $500 in 1995 to $3,000 in 2009. Increasing the price of illegal activity is law enforcement’s main measurement of success. But this strategy backfired. The increased costs and risks disincentivized people from returning home. In 1996, just as the secondary fencing was going up in San Diego, a majority of new unauthorized entrants left within one year, according to a study by the University of Pennsylvania sociologist Douglas Massey. By 2009-with three times as many agents, 650 miles of barriers, and constant surveillance along the border-an illegal immigrant’s likelihood of leaving within one year had dropped to a statistically insignificant level. Border security had essentially trapped them in. The illegal population grew in tandem with the increases in smuggling prices, which in turn paralleled the growth in the number of border officers. This process continued from 1990 to 2007, when the housing collapse finally set Mexican migration into reverse. Massey calculates that as of 2009, 5.3 million fewer immigrants would have been residing in the United States illegally had enforcement remained at the same levels as in the 1980's. He argues that a large guest worker program, similar to the one that the United States last had in the early 1960's, would reduce not just border crossings but the population of immigrants living in this country. 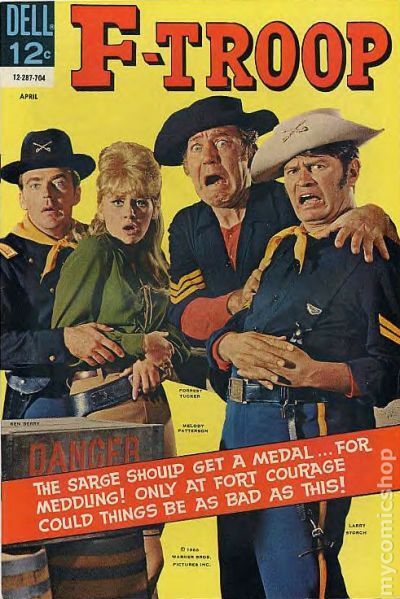 Our immigration and border policy is being run by people like it was an episode of F-Troop.